You are here: Home » Measure It! 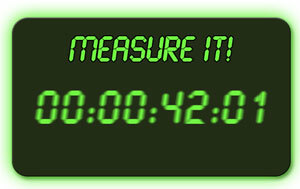 Measure It! is a small C# script we use while developing in Unity. It stores various statistics and displays them on screen whether in playmode or in editor. This is especially useful for Unity Indie users who don't have access to the profiler of the Pro version. Measure It! stores information in slots. A case-sensitive string (slotName) is used to create and refer to slots and to display slot's values. MeasureIt.Log("Hello world","aCustomDebugGroup"); // only shown if aCustomDebugGroup isn't muted!